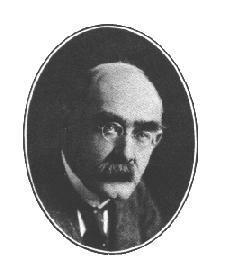 ﻿ Poetry Lovers' Page - Rudyard Kipling: "Poor Honest Men"
You are here: Home » British/American Poets » Rudyard Kipling » "Poor Honest Men"
When I've told you the troubles of poor honest men. And they press half a score of us poor honest men! Which is often destruction to poor honest men! Are waiting to terrify poor honest men. They try for to steal it from poor honest men! And she flies off the wind from us poor honest men! Blockading French ports against poor honest men! We slip past the Scillies like poor honest men. Though I may not inform how we do it, nor when. Is well understanded by poor honest men. Except with a handspike  . .  .
And they say they are murdered by poor honest men!